Connect with us to celebrate the bond we have with our devoted companions. 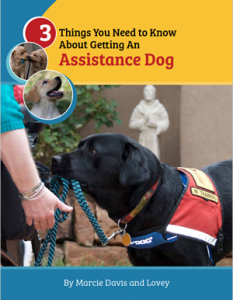 Sign up to join our pack of more than 400,000 international dog lovers who turn to Working Like Dogs for the latest trends and information about working dogs, service dogs, and dog heroes. My name is Marcie Davis and I’m the founder of Working Like Dogs. My goal is to help people live more fully with their beloved canine partners. Read more about me, my work, and meet my adorable service dog, Lovey, and my handsome retired service dog, Whistle. Working Like Dogs - Episode 163 Here Comes the Judge! 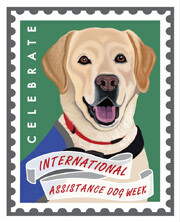 Let’s get the party started and celebrate International Assistance Dog Week.